CERTIFIED KOSHER: Origin: China - Fujian Province. Origin: Fujian, China. This jet black roughly twisted leaf has a unique smoky flavor. 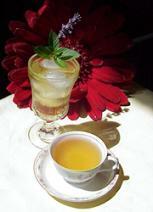 It is one of the famous teas of the Orient. An accidental creation in its origins due to hastiness to dry the leaves for transport, the smoky tea was so popular that demand created a new market for smoky scented tea. The smoky taste is produced during the final drying process when leaves are dried over smoking pine fires. We use it in our Russian Caravan and Russian Breakfast tea blends. 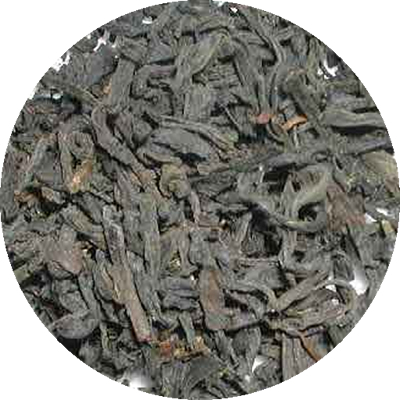 The taste is smooth and there seems to be no in-between decisions about Lapsang Souchong. Those who love it say that it reminds them of nights by the fireplace or vacation camping in the wild. A self-drinking tea, it pairs extremely well with anything that reminds one of smoky food: salmon, cheese, pizza for example.